*15 Key Rings: Smaller for pocket or purse. Usually high pitched. 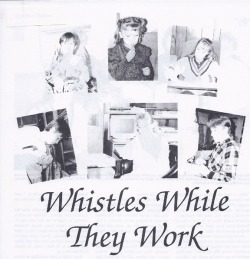 *30 Survival whistles: are a true quality signal whistle. 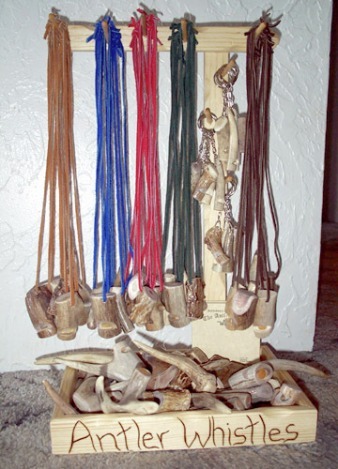 Placed on leather lace of five different colors, these whistles are selected to have a loud clear tone. 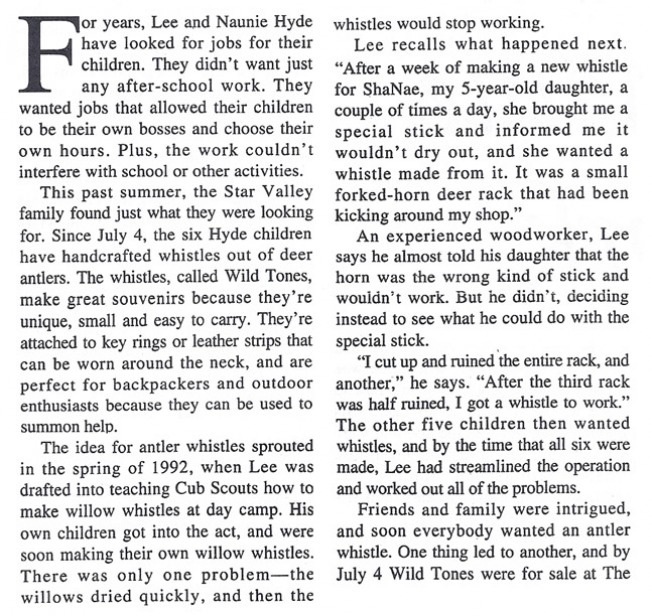 The survival whistles usually sell the best. 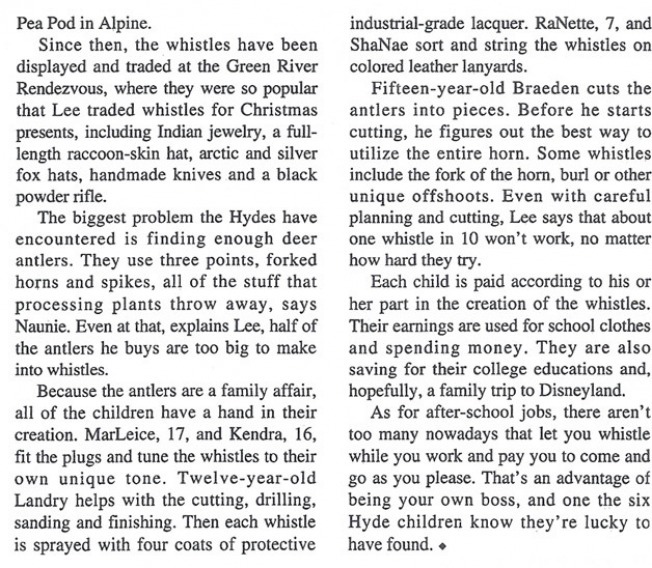 *25 Unusual combination whistles: Because of the nature of antler, these unusual type whistles can only be made in limited quantities. There will be 25 total of these types in each premium assortment. Usually antlers grow symmetrically but aberrations do occur; Extra points and unusual gnarls make distinctive whistles. Burl or Rosette - that unique gnarled portion from the base of the antler.